The world of cryptocurrency is jam-packed to the say the least, and the ever increasing coins and tokens frequently miss the mark when it comes to making an impression. However, one addition to this world that has made more than just ripples in the flood of crypto coins, is Ripple (XRP). You may be aware of how this year, a steadily rising Ripple temporarily pushed the second largest cryptocurrency Ethereum out of its runner up slot. Although it soon crashed and fell 40% from its September high, it proved its potential and mettle in the market. 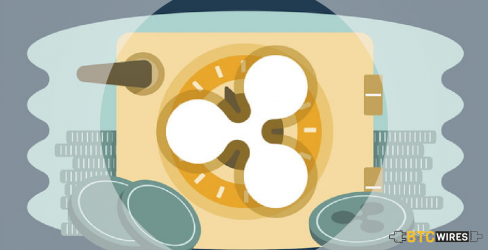 In this beginner’s guide, we discuss the basics of Ripple- what it is, how it works and what sets it apart. When Ripple was developed, the vision driving it was that banks should be able to use it for making decentralized, global transactions a reality. It is more than just a cryptocurrency. Instead, it is a payment protocol specifically created to serve the needs of traditional financial institutions. Developed over a completely open-sourced protocol, this crypto player makes it possible to make global transactions instantaneous charging only negligible fees. With Ripple, it becomes possible to exchange currencies, remit payments or enable real-time gross settlements, using the basics of blockchain, which incorporate a distributed ledger governed by one of the different consensus protocols. An interesting aspect about Ripple is that instead of discriminating against fiat currencies, it simply makes use of its own cryptocurrency XRP as a bridge currency. This helps streamline usage for banking institutions, which Ripple is primarily meant for. For example, if A must pay a certain amount to B and B wants it in terms of say, INR (Indian Rupee), while A wants to send it as BTC (Bitcoin), then neither of the parties must change their preferences. With XRP serving as a bridge currency, the requisite changes are made while at the payment gateway (or gateways). Ripple provides for a fast, decentralized mode of operation by ensuring it uses a consensus protocol where transaction validity is decided upon by majority vote. Gateways or users naturally have certain liabilities in the protocol and these are termed as IOUs and tracked carefully by Ripple. These IOUs are settled fast and easy with the help of the technology that powers Ripple. With a tremendous speed that allows it to validate and confirm transactions in less than 4 seconds, Ripple makes sure that 10000 transactions are simultaneously processed every second. If the enormity of this achievement isn’t clear, you must know that Bitcoin manages to clear just 7 transactions in the same time span. While some would not want to see this as much of an advantage, the fact that Ripple is not mined (it is owned by the Ripple company itself or hold by corporate entities or actual people) helps to reduce dependence on computing equipments such as GPUs and ASICs. Ripple has found a reasonable level of acceptance among its target group of banks and financial institutions. Banks that have adopted this payment protocol include Santander, Canadian Imperial Bank of Commerce, Mitsubishi UFJ Financial Group,SBI Remit, UniCredit etc. So Where is Ripple Headed? Ripple seems to be expanding its influence rapidly, setting up shop in Dubai and making forays into markets like Japan with MoneyTap, Ripple Blockchain’s Payment App. It has also been a part of several charity projects, meant to reach out to the unbanked populations in developing countries. Ripple’s charitable projects include Ripple for Good and its inclusion in the Gates Foundation’s attempt to address the unbanked. Clearly, Ripple looks all set for a steeper climb than it has seen all this while.